Saw this today at the supermarket. It was stuck on the doors to the store room or cool room I don’t know. But main point here is WTF is that even supposed to mean? 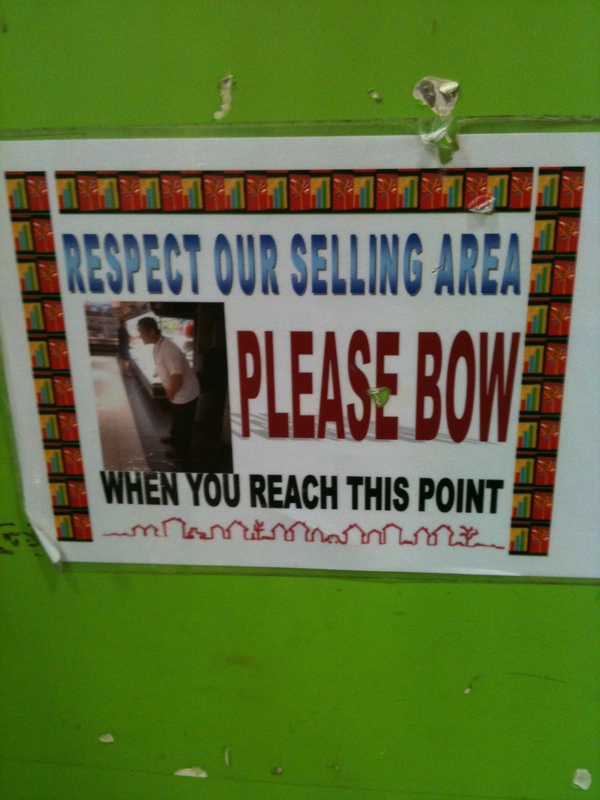 So every customer or worker who walks past that point or so happen to be standing there has got to BOW??? Seriously??? I was picking up a packet of vegetables, I looked up and saw that sign. Found it so funny that I just whipped out my phone, as though on auto pilot, and snapped a picture of it. Out of curiosity, I even stood around for a bit, waiting to see if people actually bow. Luck was on my side as one of the staff working there walked up to the door, pushes it roughly and barges in. IS THAT RESPECT?? Where was the bow that I waited to see? Thoughts of bringing it up to higher management for explanation soon faded as my good senses kicked back in, telling me of how dumb that idea actually was. So anyway, if you wonderful readers remember reading in my past post, somewhere at the bottom of the pile, I blogged about this lady who mistook Earl Grey tea for Lady Grey tea and how I couldn’t help but laugh because she kept insisting despite being told there is no such tea served there. Well so today while at the supermarket, I was walking past the tea aisle and guess what I saw???? Well you wouldn’t believe my level of amusement and shock when I saw it, I was beyond thrilled and overjoyed that I almost did a little weird dance and giggle like a silly kid. Well giggle I did, people stared but who cares right? 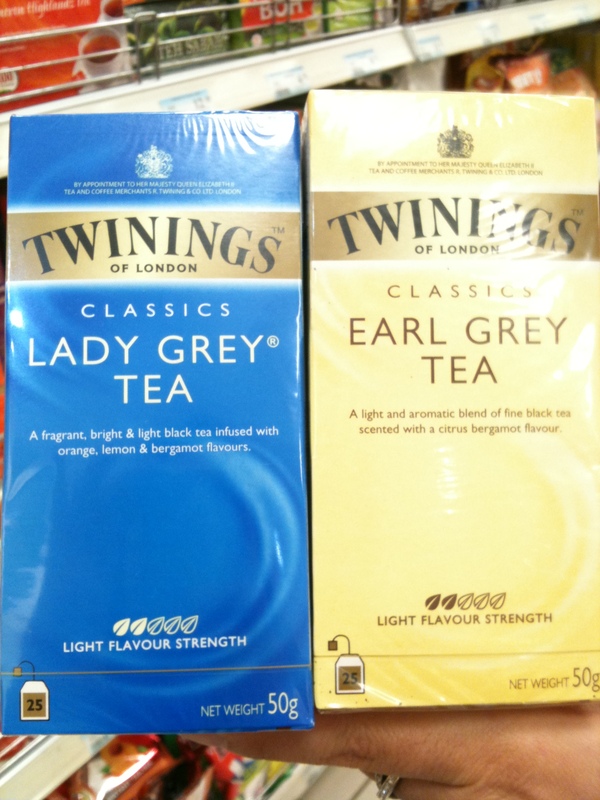 Hmm so I learnt smtg new today… There is a tea named Lady Grey tea indeed!! Craving for yoghurt right now… Mmmmm I need my favourite yoghurt with cornflakes right now, but I can’t. Why? Because it is not bloody sold here… Urghhh…. On another note, I had to settle for something else now. 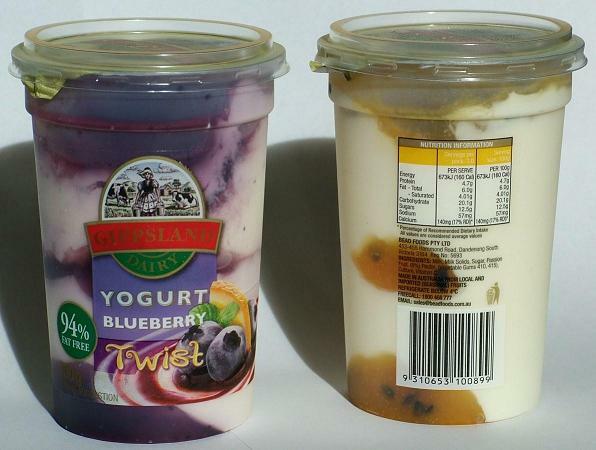 Though the yoghurt is not as good as the one above but it is still alryte. Well, beggars can’t be choosers right?? 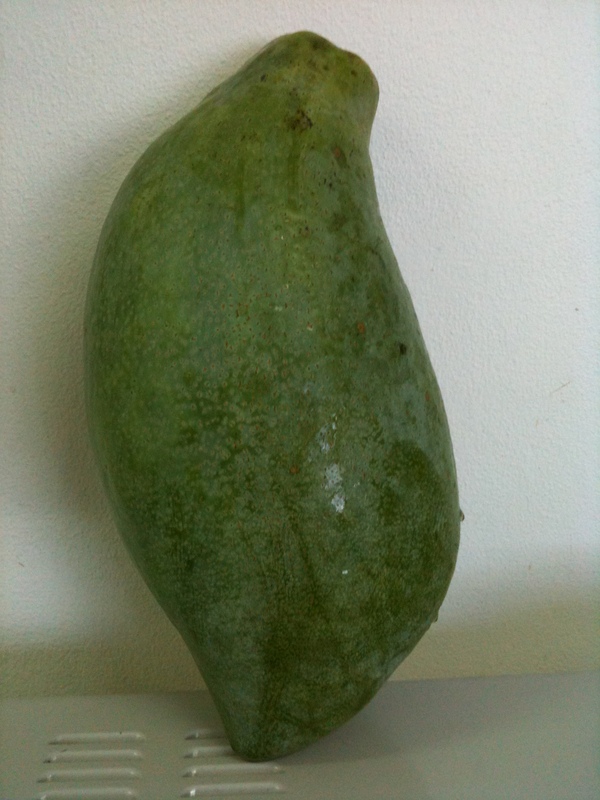 Okay I know it looks kinda gross like that but trust me it is bloody darn wicked!!! 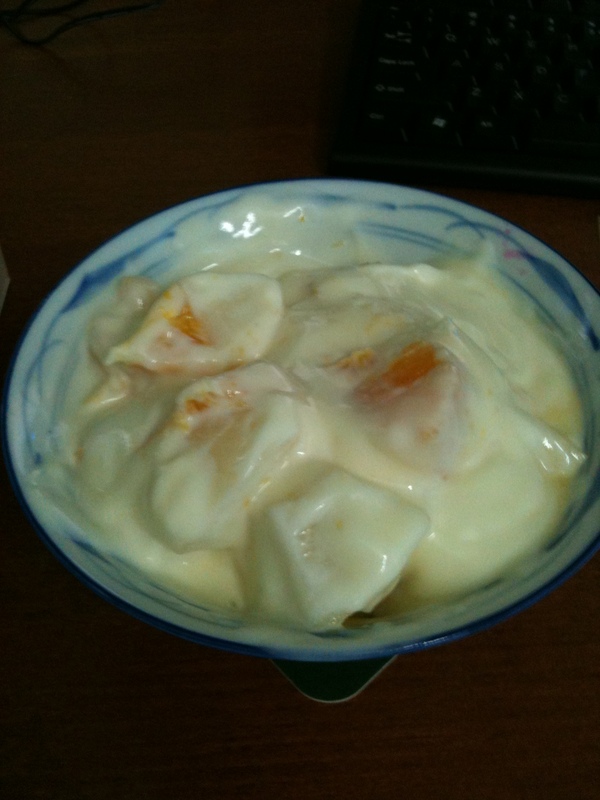 It is mango and peach yoghurt with orange and pear slices =) Awesomeness. I would put blueberries and raspberries but facts are, they just costs a bomb here to be bought and eaten. Tomorrow will be cereal and yoghurt =) Can’t wait!! !